But the kids aren’t too happy about it. This entry was posted in Animals by Jennitulippa. Bookmark the permalink. hahahaha. is that a bunny suit with a person inside? 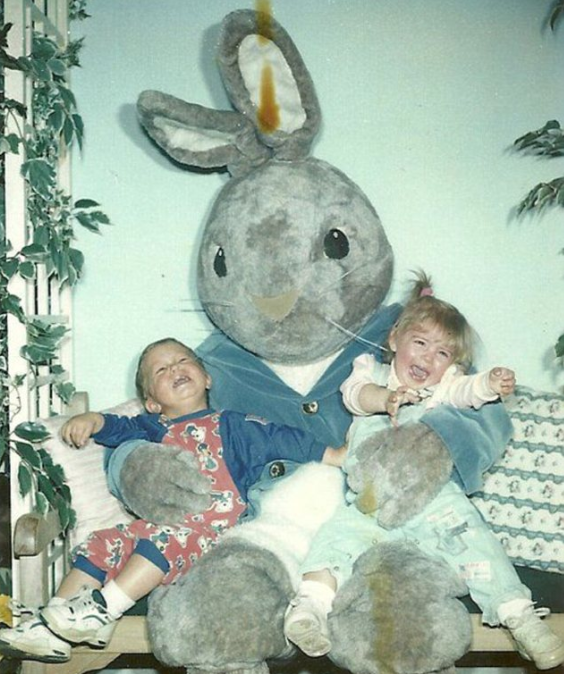 I guess I would be kind of upset too if my parents put me in a fugly red jumpsuit thing and then a giant bunny groped me.